The art of woodcarving has been a part of traditional architecture. The traditional styles of decorating home are still popular. Home, which has been decorated with wooden decor always manifest authenticity. Even in the first half of 21st century, houses were totally decorated with wood but now only some houses can be seen where significant amount of wood art have been used. By using wooden art on our dwelling place, we can make our home beautiful and environment friendly. Especially Traditional window frame have become legendary artwork in many countries. 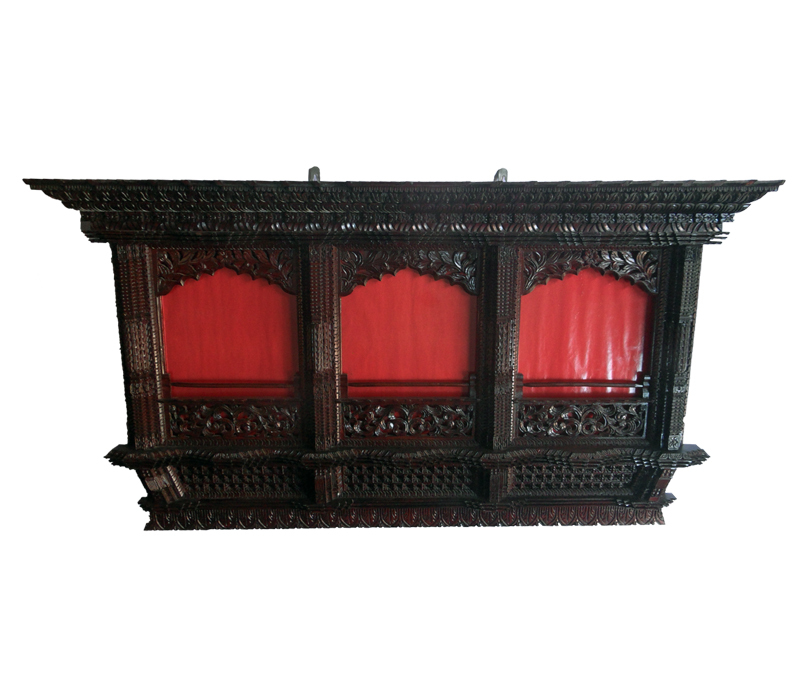 The shrines of Nepal which are totally decorated by wooden frame reveal the true value of wooden artwork. 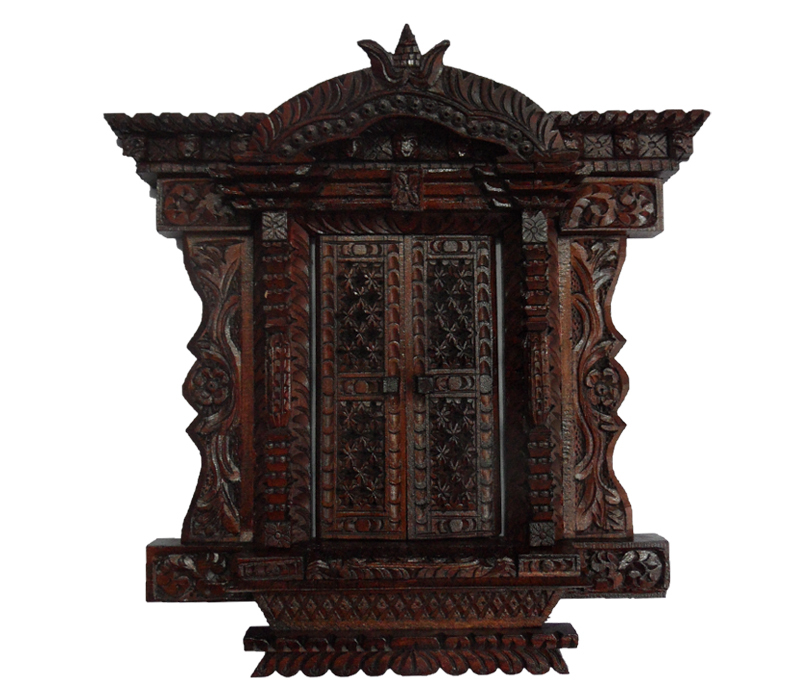 Thus following the importance of wooden craft this post concludes some of the finest handmade wooden decors from Nepal. These type of window framewindow frame are especially used on the pilgrims; however one can use it in his home too. With the perfect blend of art and craft this window frame perfectly makes your wall looks like an antique museum. 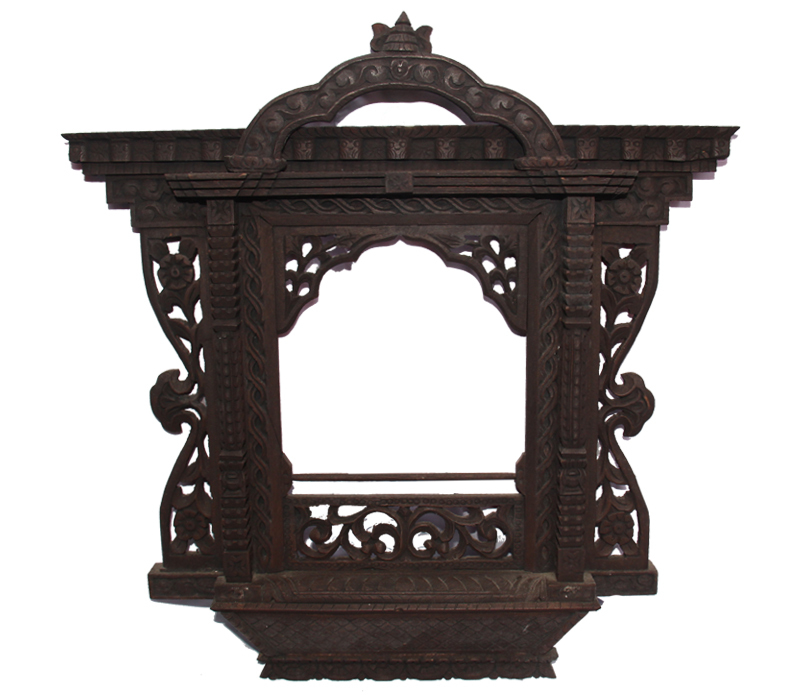 This hand carved window frame is best for home decors. This is an “asta mangal” or good luck window as there is eight auspicious symbols of good luck in the door, it consist of endless knot, lotus flower, flag, holy water pot, yak’s tail, a pair of fish, umbrella and conch shell. These types of traditional wooden decor provokes its own religious value. This photo frame enhance the look of images placed on it, because the artist has sculpted every parts carefully. This photo frame makes any images perfect and if artwork is used on this frame then it makes an ideal decoration. You can put your own photo on this frame and hang anywhere on the space of your wall you want. 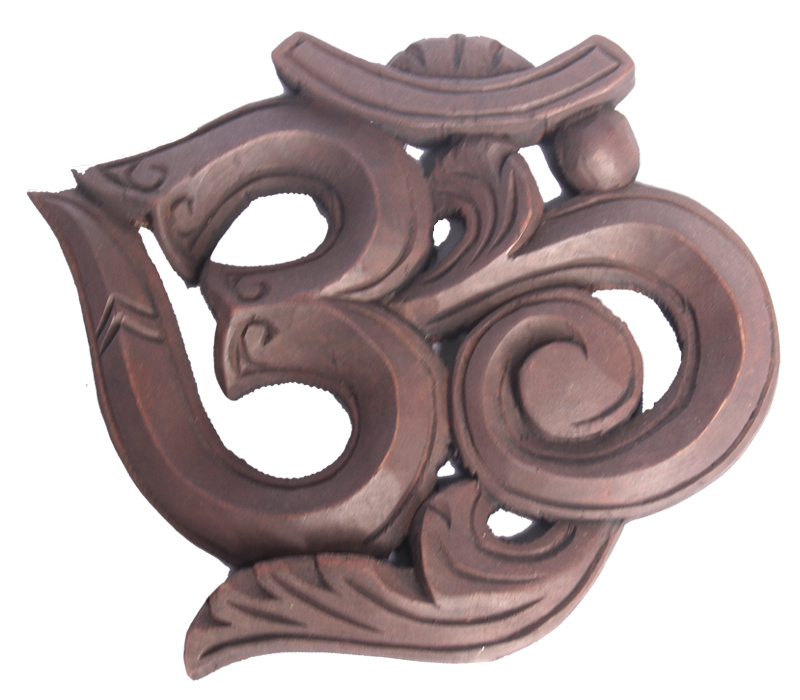 Om is the mantra or the act of incantation of devotees to invoke God especially during meditation or prayer. Wood from the specie called Gmelina Arboreal. Om is supposed to be the keyword that can generate peace on human soul. This wooden craft perfectly suit any vacant place in the wall. What I can admire in all these decor is uniqueness and antiquity. The creativity of craft persons seems beyond our imagination because how admirably he/she has played with every signal part. These types of decors are religiously rich and provoke unique messages. Previously such artworks have been used in the prestigious shrine and pilgrims but now the trend of using these as home decors has also emerged. All these products are made in Nepal so if anyone wants to use this on their own home or somewhere else then they can order or book online, because this types of antique items may not be always available, it takes huge time to produce one such an artwork.